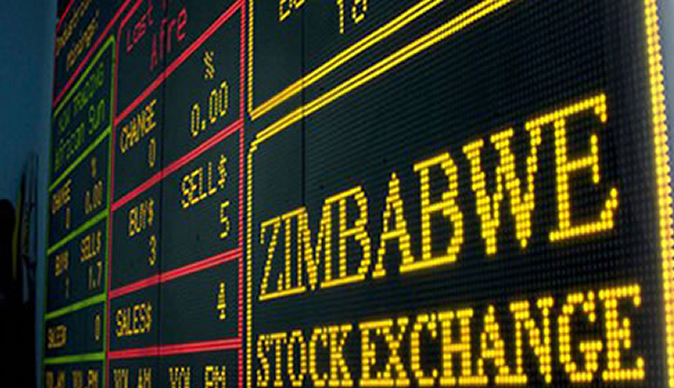 The downward trend that has characterised the Zimbabwe Stock Exchange since October last year is likely to persist in 2019 as the allure of protecting value wears off, analysts have said. The ZSE's main Industrials Index has experienced a downward trajectory since October 22, 2018, when it reached an all-time high of 611,59 points and a then year-to-date gain of 83,65 percent. This positive performance was driven by fear of value loss, as foreign currency exchange rates on the illegal market ballooned to 500 percent, forcing investors to seek for safety in the equities market. This was after Finance and Economic Development Minister Mthuli Ncube announced new policy measures, including the 2 percent tax as well as the separation of bank accounts into nostro (external bank) foreign currency accounts (FCAs) and real time gross settlement (RTGS) FCA accounts, a move that spooked the markets. The fear-driven euphoria, however, did not last for long as the illegal foreign currency rates came off and stabilised at approximately 300 percent, resulting in the ZSE coming off to close the year 20 percent off its peak at 487.13 points, a phenomena described by analysts as market correction or bear market. This is the trend that analysts expect to dominate the market in 2019. According to Sean Bvurere, an equities analyst with a local asset management company ýInvesci Asset Management, share prices will definitely come off in 2019. Mr Bvurere, however, believes the downward trend will be a result of either market driven or imposed dollarisation. "We will definitely see prices coming off on the equities market as the market dollarises and the previous allure of protecting value will wear off slightly. With an imminent dollarisation, either market driven or imposed by regulation, looming a contraction in the economy is almost inevitable," he reckoned. "Purchasing power of consumers will be constrained as RTGS earnings will be diluted at US dollar rates. This will negatively affect topline of local producers and retailers, particularly those in FMCGs," said Mr Bvurere. Another equity analyst Ranga Makwata said market direction this year will depend on the developments on the currency front and the resultant inflation direction. He said further erosion of local currency value against US dollar in an environment where businesses are not allowed to transact exclusively in USD or its equivalent will force companies to scale down as a result of shrinking sales and profitability in real terms. "Ordinarily this should depress the stock market but because of perceived safe haven status by investors seeking value preservation the stock market will surge in local currency terms although in real terms it could be shrinking," said Mr Makwata. While sharing Mr Bvurere's sentiments that the market will come off this year, other analysts, however, differed on dollarization, saying the economy will not be going back to the era of full dollarisation. "I think in reaction to the issue of doctors who want to be paid in US dollars and that of Delta which wanted to charge in foreign currency, Government has made it clear that dollarisation is not the route it would want to take," said an analyst with a leading local asset management company, who, however, requested not to be named. Following a meeting with Delta executives, which also involved Vice President Constantino Chiwenga and RBZ Governor Dr John Mangudya, Finance and Economic Development Minister Professor Mthuli Ncube appealed to private firms to be patient while Government worked on fiscal consolidation. "We are saying the private sector should wait for us to give policy. They should be patient and see how our fiscal policy is making progress. We are making good progress in fiscal consolidation and once we are ready, we will institute the requisite monetary reforms," said Minister Ncube. "They should not rush ahead to choose the currency they think the whole country should adopt. They should just be patient, let us work together. That is really our message," he said. "We are not re-dollarising, that is the fundamental issue. What will be key is how Government will control money supply and I think the 2 percent tax is already removing money from consumers' hands and that is key," said the analyst. Mr Makwata aired similar views saying a lot will also depend on how the economy responds to policy thrusts around containing both money supply growth and aggregate demand, which national treasury believes will deal effectively with the liquidity glut in the economy. "Of course wage pressures coming from Government workers are threatening to derail any fiscal tightening measures plunging the country again into policy uncertainties," he said. Other analysts see the issue of Delta as a blessing in disguise as Government will now accelerate decisions around currency. "There is need to decide how are we going to deal with US dollar balances, and how do we move from where we are, from 1:1 and to where we are supposed to be, an exchange rate that is yet to be determined." Government has already said it will establish a Foreign Currency Allocation Committee that is expected to deal with the currency disparities. According to Prof Ncube, the committee will be in the context of gradually exiting from exchange controls to market-based mechanisms that promote efficiency in foreign currency allocation. "The 2 percent tax is going to be a huge factor as it will remove more than $1 billion from consumers' disposable income and in the process affecting volumes and earnings at micro-level." "When earnings come off, valuations and subsequently share prices will also have to come off, resulting in the ZSE also coming off this year. It's going to be a very tight environment with corporate earnings being put under pressure," said the analyst. Other analysts said the market has also had three consecutive years of a bull run and that cannot continue forever. Markets are said to be technical and when they close at a high, the probability of the market coming off is always higher than the probability of the market going up. "There has to be a correction of some sort because earnings are likely to be weaker. Unless risks remain elevated, fund managers, who have already piled money into the stock market are likely to sell and look for alternative investments."